Seriously, content drives everything now, from RSS feeds to blogs, and organizing what your audience sees is a job title unto itself. Except — there’s probably an app for that. This article looks at what is still the art of content creation, despite the fact that entire software platforms have been developed to help us weed out relevant content from fake news. Are human content curators better than software? How is content curation different from content marketing? Should you hire a freelancer to write original content in addition to re-purposing what’s already in your internet newsfeed? Why will content still be relevant in 2018? There are few signs that the importance of content will diminish next year. In fact, Forbes says the word count on your original articles should grow longer, and Marketing Zen says that video content will overtake the written word next year — businesses will be investing more in this area of their marketing efforts. But, you’ll note that all of these trends depend heavily upon original content. Original content, no matter what form it takes (social media, blog, websites, video) falls under content marketing. Content marketing is both the original content you create, along with the various distribution channels you use to send it out to the world. But there should be a secondary piece of the content you place on your website or splash on social media. That’s where content curation comes into play. What IS Curated Content Anyway? Content includes blog posts, bottomless pools of statistics, catalog listings, news articles and broadcasts, photographs, publications about scientific research, memes, videos, gifs, and many other kinds of information. You can think of a content curator as a hunter-gatherer or, on a loftier plane, a librarian. Although some job listings for content curators include the duty of producing information — for example, in the form of company blogs and social media posts — EContent magazine says true content curation involves amassing and organizing digital information rather than producing it. Essentially: Content curation is the promotion of non-original content. It's become a valuable part of social media. By using or offering for use any content of special interest, brands hope to increase web and social visitation by new and returning viewers. In essence, the person using another person’s creative content hopes to gain viewers who are interested in that element. Soon, those visitors return, considering you a good resource and searching for more links of interest to them. You are basically archiving the best of the best and reaping rewards from that use. It is win-win for all involved. Rather than seeing it as "stealing," marketers should be happy to offer such content, provided there is a stipulation added that includes mutual promotion benefits that linking can create. Use the best you can find of text content, video clips, photos and other graphic images for content. How do you sort through it all, though? Since there’s so much content on the web, that’s where an app might help businesses succeed in this area. 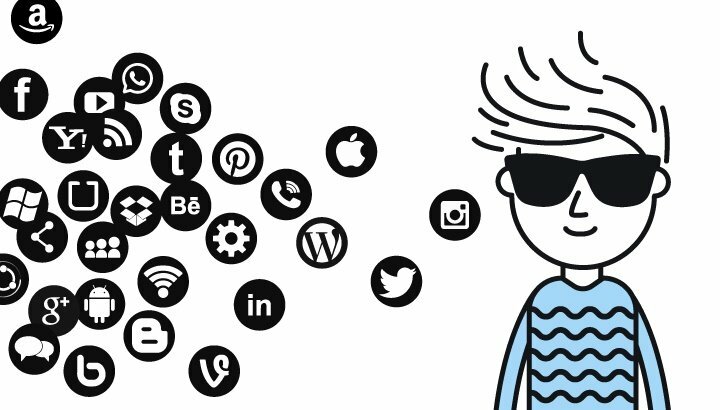 What Content Curation Platforms Can Improve Your Reach? WordStream had an interesting article recently that looked at some of the content curation apps on the market making marketing departments more efficient this year. 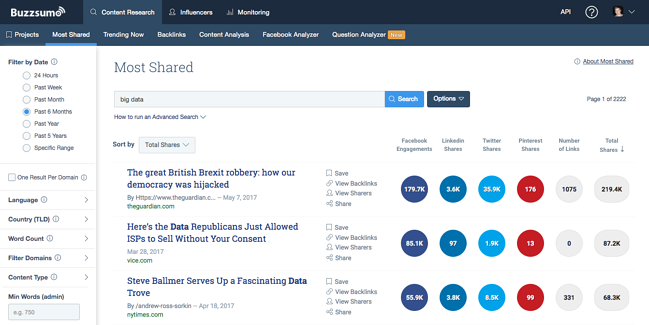 Buzzsumo (image above) is a great place to find the best shareable content. Just type in the topic and it pulls up the content that’s been shared most frequently on that topic. Pocket is an aptly named app; if you find a piece of content, don’t bookmark it for later, stick it in your (digital) pocket. Feedly helps you develop an RSS feed around keywords, domains, and topics. It completely eliminates the need to curate content by hand. The combination of software to curate re-purposed content and human talent to write original content are the one-two punch that will knock your marketing efforts out next year. Look at the listings for content curators on behemoth job portals and you discover that some of these positions fit the magazine's definition. However, others are hybrid situations involving production — such as blogging online — as well as organization of content. Nonprofits that want to develop awareness of their causes in order to raise funding. Where will YOU find the talent to help with your 2018 content? We have a suggestion: Artisan Talent has a network of writers and content creators just waiting to go to work for you. We know and understand the qualities you need in a great content curator and can help you find the talent you’re seeking, whether it’s a freelancer or a full-timer. 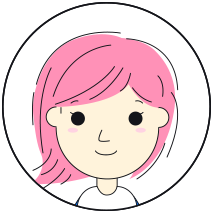 Need Help Hiring the Right Freelancer? We can help with that too! 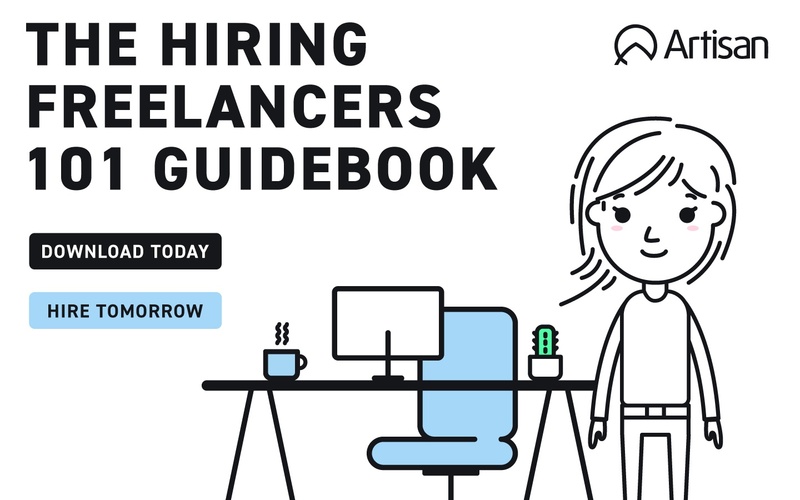 Check out our guide to hiring freelancers here. Consider it your 101 for picking the best one. *Editor's Note: This posted has been freshened up for accuracy and new information.